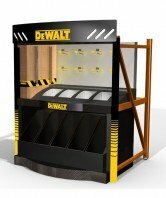 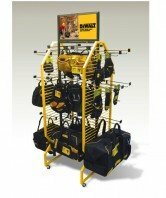 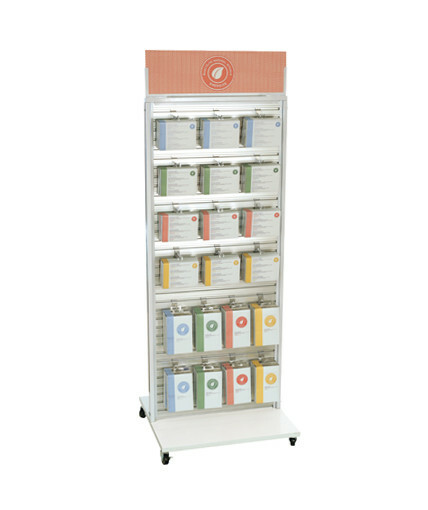 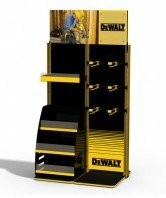 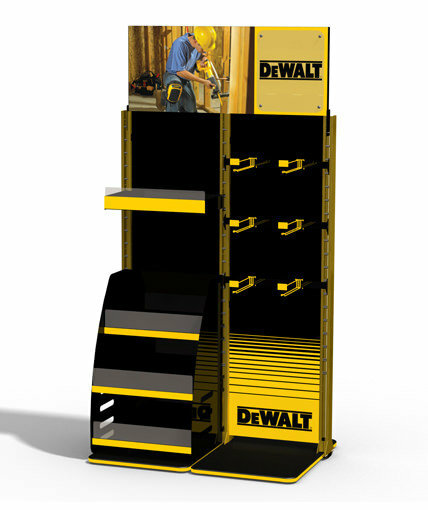 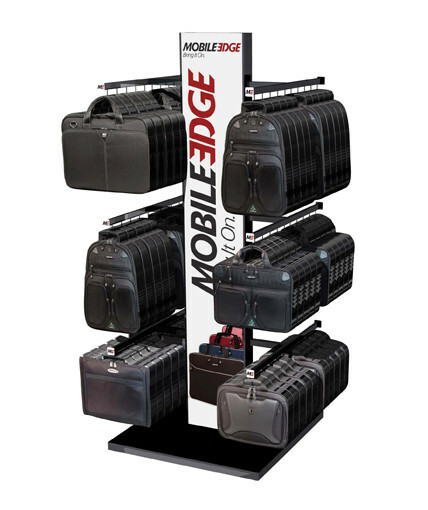 Mobile floor display for Custom Leather Craft’s rollout of its line of DeWalt licensed work products. 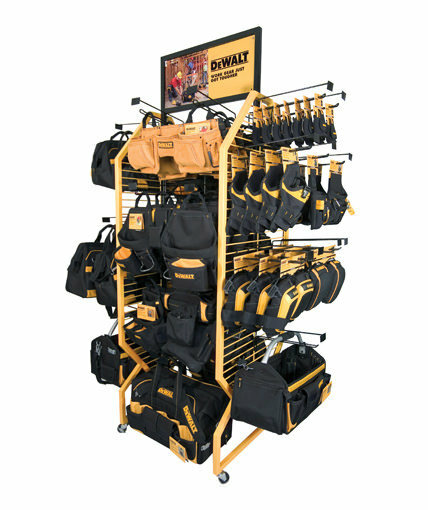 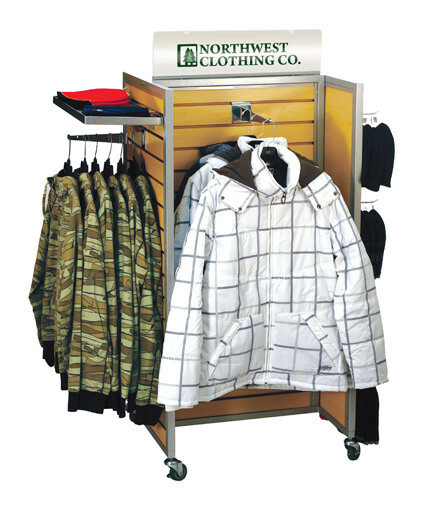 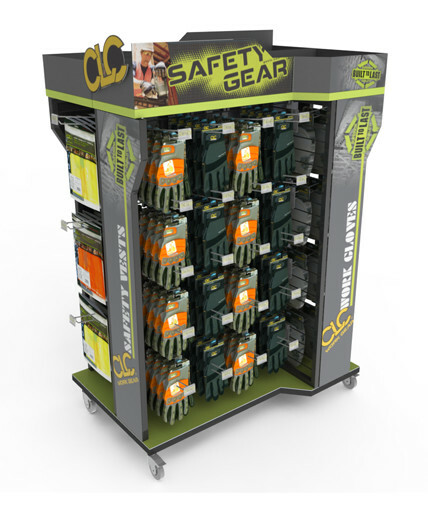 This economical, durable, and high capacity display accommodates a wide range of products of different shapes and sizes, while reinforcing the DeWalt brand. 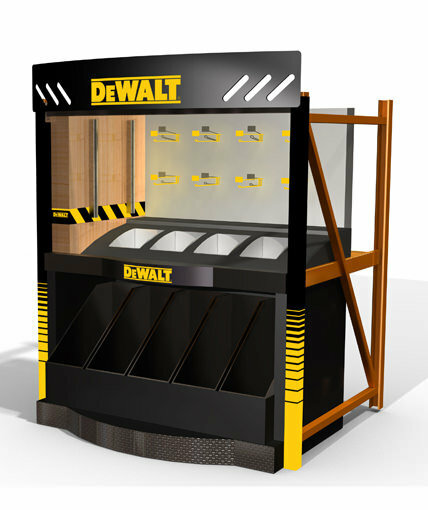 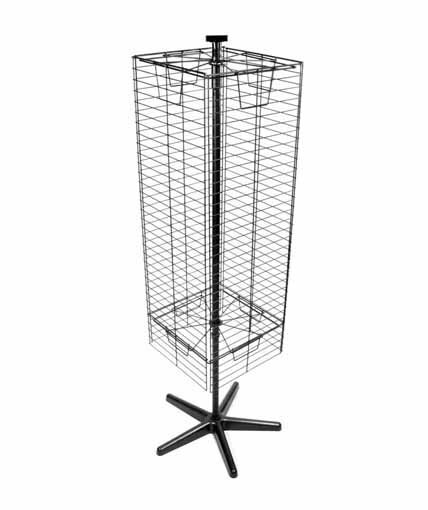 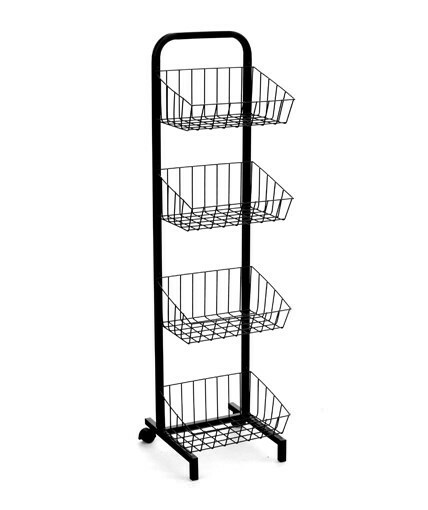 Category: Uncategorized Tags: Dealt retail floor display, Dewalt Custom Retail Display, Multi-Product Retail Display, Point of purchase retail display Brand: Dewalt.